Company profile-Company-Shenzhen Just Motion Control Electromechanics Co., Ltd.
Shenzhen Just Motion Control Electromechanics Co., Ltd. was founded in the year of 2007, it has 10 years experiences in the automation industry . 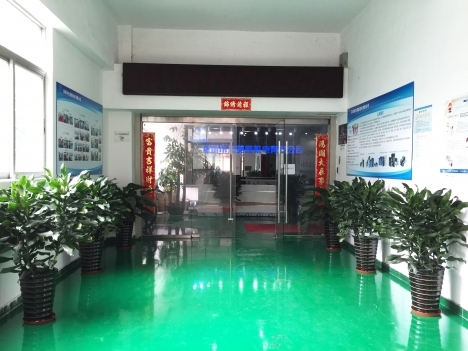 JMC Locates in Shenzhen, which is near to Hongkong, has more than 3000 square meters factory, more than 150 workers and the test machines, SMT machines and it is ISO-9000 certified .JMC also has a very strong R&D team , it is consisted by 43 people and most of them have master degree ,20 of them have more than 8 years experiences.OEM and ODM ( customized products) both are welcomed . JMC main products includes digital stepper drives&motors, high voltage AC servo motors &drives, close loop(hybrid) stepper servo drives &motors , Integrated step servo motors and integrated stepper motors ,Precision planetary gear boxes CANopen, modbus and EtherCAT motors and other complimentary mechanical products. Most of the products have CE certificates. JMC products are widely used and applied in the textile machine, CNC routers, inkjet printers, semiconductor assembly &inspection machine ,packaging machine, woodworking machine, advertising equipment ,medical machines and so on . In the last 10 years, JMC has provided solutions and products to many clients from Asia, , North & South America, Australia, Africa and European , we also have distributors in Indian, Brazil ,Turkey and some other countries which can provide fast delivery and warranty for the customers. JMC keeps on providing cost effective,high quality products to customers, make sure fast delivery, quality warranty , wonderful after-sale service for the clients.That is why JMC becomes more and more popular in the industry. Sincerely hope JMC will be your trust supplier.